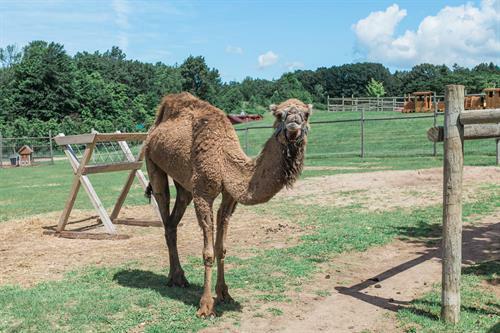 Very large, clean Petting Zoo, including: Alpacas, Camels, Donkeys, Goats, Mini Horses, Peacocks, Ducks, Chickens, Lemurs, Rabbits, Wallaby's, Llamas, Fallow Deer, Chinese Pheasants & Zebus [miniature cows] and a Brid Aviary. 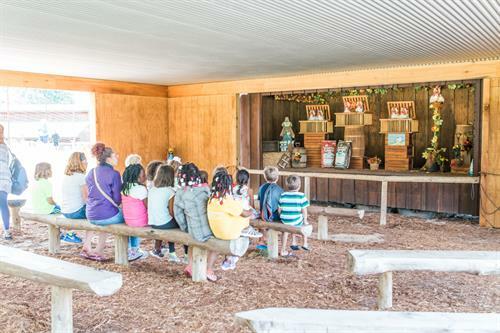 Wagon rides (fall weekends only, unless prearranged), Corn Maze, School Tours & Camp Fires. 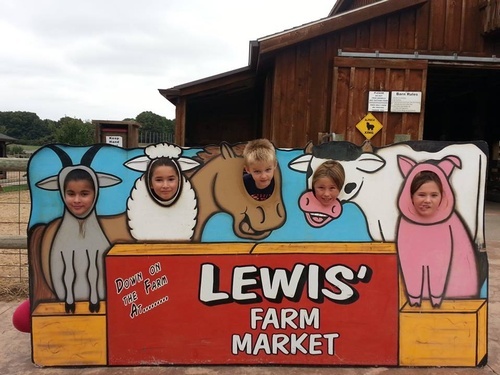 Family-owned, specializing in home-grown produce on 700 acres, featuring farm fresh fruits & vegetables grown right here! Open May 11-October 31, 2018. Fresh baked goods, ice cream, homemade fudge, gift pantry, and children's corner. See our website! Visit us on Facebook! Tour buses welcome. 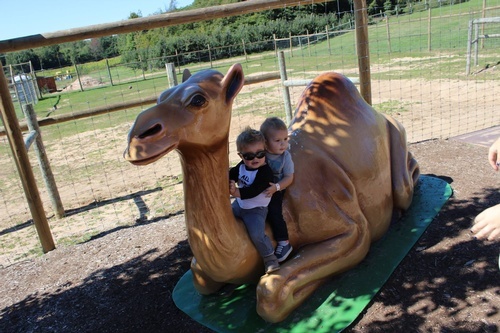 We have two large Jumping Pillows, Farming Rocks Gem Mining Company, Barrel Train rides, Pedal Carts, Barrel Horses, Bee Hopper, Ball Town, Wooden Toys, Duck Races, Michigan's only Animated Chilcken Show & MORE! 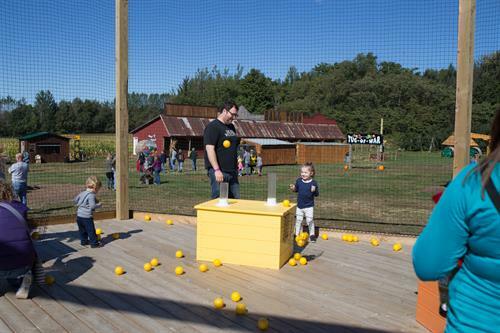 And in the fall visit our Corn Maze, Pumpkin Moon Walk & U-pick Pumpkin Patch. 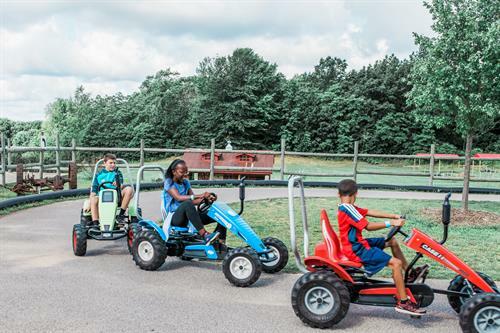 Fall weekends enjoy a fall wagon ride on the Apple Express, Entertainment, Pig Races, Dog Show, Stilt-walker, Face Painting and shoot the Fruit Cannons, U-pick Apples. Visit our website for times and details. Located on M-20 just 1/4 mile off US 31 on Exit 140.